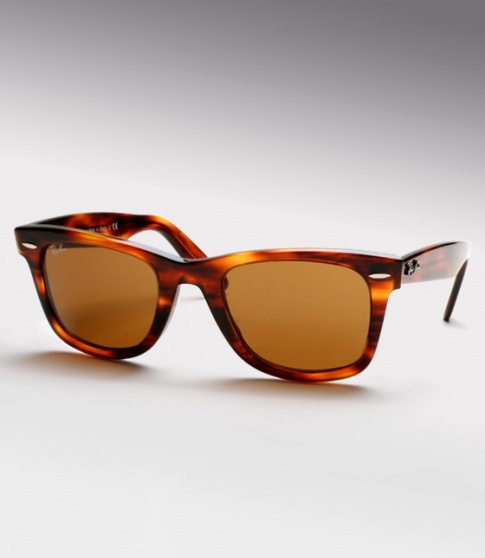 Ray Ban RB 2140 Wayfarer - Light Tortoise Need Help? The RB 2140 Wayfarer, first launched in 1952, has not been made in decades! The original version of the wayfarer has been re-released and crafted exactly as it was, from the materials to the exact proportions. The iconic status of the Wayfarer perhaps first began in 1961, when on Hollywood's silver screen Audrey Hepburn highlighted her glamorous gaze with a pair of wayfarers. And who could forget Dan Aykroyd and John Belushi in the film Blues Brothers or Tom Cruise's sporting them in Risky Business(1983).